Sheila is a community and economic development aficionado. As Pacific Power’s Regional Community Manager, Sheila works with local government, business, and community leaders as the company’s interface in Northwest Oregon and Southwest Washington. She has experience as an energy and conservation manager, small business and community development manager and district area manager. Sheila believes that how well Pacific Power does is directly related to how well the communities the utility serves are doing. 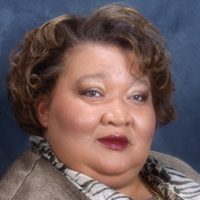 She serves various boards that have advanced collaborative partnerships to achieve sustainability and economic development initiatives locally, regionally and nationally for more than 25 years. She is a strong advocate for comprehensive community revitalization through public/private partnerships, self-reliance, innovation and sustainable practices. She helped the now city of Portland Planning and Sustainable Development Commission establish its initial sustainability policies as it embraced the values of sustainability and transitioned from the Portland Energy Commission. Elaine Aye, Associate/ Regional Manager of Green Building Services (GBS), leads one of the premier sustainability consulting and technical services firms in North America. She brings over 30 years’ experience working within the Architecture/Engineering/ Construction (A/E/C) industry to her position. She has dedicated 17 years to sustainability and the green building movement, targeted to improving the health and well‐being of the built environment. Her knowledge of current trends in the evolving field of sustainability contributes to the conversation about how to make built environment projects meaningful and poised for future initiatives. Since 2000, Elaine has served as an ambassador for the United States Green Building Council (USGBC) and Green Business Certification Inc. (GBCI), and was awarded the prestigious designation of LEED Fellow in 2012. A dedicated educator, Elaine is also LEED Faculty, WELL Building Standard Faculty, and a WELL AP. 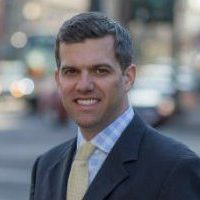 Matt Mylet is a Vice President, Commercial Relationship Manager at Beneficial State Bank, a CDFI commercial bank serving the west coast. He originates and manages commercial loans with a focus on local food producers, green buildings, and renewable energy projects. 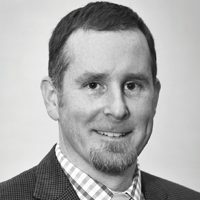 Matt currently serves as Board Treasurer of the Northwest Environmental Business Council and is a member of the Energy Trust Renewable Advisory Council. He holds an MBA from Case Western Reserve University and a BS in Finance from St. Mary’s College of California. Mike Kortenhof is a manager at the Oregon Department of Environmental Quality, currently responsible for the safe management of underground storage tanks and cleanup of petroleum contaminated property. 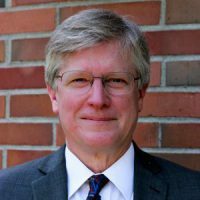 Over 25 years at DEQ he has worked in programs protecting Oregon’s land, water and air and been involved in numerous strategic planning, program development and process improvement initiatives. Mike received a M.S. in Environmental Engineering from the University of Washington and a B.A. from Lawrence University. He is a Registered Geologist and Professional Engineer. With the move of DEQ Headquarters to the Lloyd District in 2016, Mike is committed helping shrink the footprint of his growing work neighborhood. 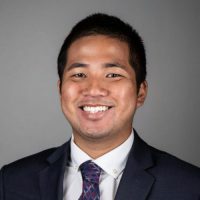 Keoki Kakigi is the Sustainability Operations Manager of the Portland Trail Blazers @ The Rose Quarter and was formerly an Environmental Assessment Associate at The Walt Disney Company, performing company-wide and quarterly greenhouse gas, water, and waste inventories. For Rip City, Keoki leads the origination and management of projects and programs with an intersectional focus on sustainability, community, and social responsibility. Once an aspiring physicist, Keoki shifted his career to sustainability upon learning of the negative effects sea-level rises were having on his home island of Guam, where he was born and raised, and thus specializes in utilizing the influential power of entertainment to spread action across its global fanbase. He received his B.S. in Physics from the University of San Francisco and his M.S. in Green Technologies from the University of Southern California Viterbi School of Engineering. Wade is the Vice President and Regional Manager of the Portland Properties for American Assets Trust (AAT) and is responsible for overall day-to-day management and long range strategic planning for Lloyd Center Tower, Lloyd 700 Building, Oregon Square, First & Main as well as Hassalo on 8th, the new apartment development project recently begun on the Lloyd Superblocks. Mr. Lange became a leader in sustainability as it relates to high-rise office buildings in 1999 when Ashforth Pacific launched its Environmental Initiative. The early work Wade did for Ashforth grew into a passion to push the buildings he managed to the very edge of environmental performance. Recognizing the potential for an EcoDistrict to have a much larger impact, he became an early supporter of the concept and has been involved in the Lloyd EcoDistrict since its inception. 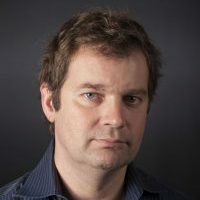 Kyle Andersen is a Principal at GBD Architects, and has been the lead designer on many of the firm’s most complex and environmentally conscious projects over the past 23 years. Most recently, Kyle was the lead designer for the development at Hassalo on Eighth—home to the Lloyd Eco-District. This vibrant community is propagated by sustainability having received LEED for Homes Platinum certification on the three new buildings, and anticipates LEED (ND) for Neighborhood Development. Kyle passionately shares Hassalo on Eighth’s innovative wastewater reclamation system with visitors from across the globe, as well as at conferences such as the GreenBuild International Conference and the Oregon Design Conference. Kyle is currently the Lead Designer and Principal in Charge of the Oregon Square Development. The second phase of the Hassalo on Eighth development, Oregon Square continues to build upon this mixed-use, high density development, creating a 24-hour neighborhood in Portland’s Lloyd Blocks. 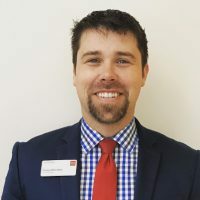 Darren Bareuther has worked in the banking industry for nine years, including the last two as manager of Wells Fargo’s Lloyd Center branch. Darren’s leadership in his branch has contributed to a strong culture that supports customers in achieving their financial goals, helping team members in developing their careers and contributing to a thriving local community. He constantly works with a number of Lloyd District business customers and local residents who frequent his branch. He hopes to create more awareness in the community around the mission and initiatives of the Lloyd Ecodistrict. He is originally from Sacramento, Calif. and moved to Portland in 2008. Darren holds a bachelor’s degree in economics from the University of California at San Diego. He and his wife live in Sandy where they enjoy gardening, cooking and exploring the outdoors with their two dogs. Bob is the general manager of the Lloyd Center Mall. He is responsible for all aspects of operations and administration of the shopping center. 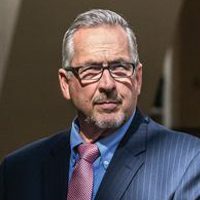 As the leader of the Mall management team, Bob interacts with the center merchants, local government agencies, local businesses and customers. Prior to joining the Lloyd Center he was with The Shops at Wailea on Maui, where he served as both the manager and leaser. Prior to that, he opened and operated Bridgeport Village, Nyberg Woods and Cascade Station. Bob also owns a chocolate company, Hawaii Ladybug. The Oregon kitchen is named Ladybug Chocolates. Here, they make truffles and confections that are beautiful, handcrafted works of art. 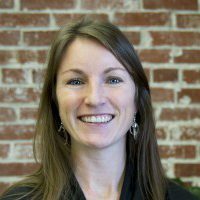 Molly Hatfield is the Sustainability Program Manager at the Bonneville Power Administration. In this role, she works to reduce the environmental impacts of BPA’s internal operations by means of performance tracking, targeted research and initiatives, and stakeholder engagement. During her two years at BPA, the agency has been recognized for outstanding sustainability performance by the US Environmental Protection Agency, the US Department of Energy, and the Association of Oregon Recyclers. Molly has been deeply involved in the sustainability field for over a decade and maintains a strong commitment to promoting best practices throughout the region. 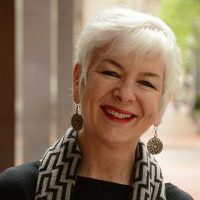 She has taught sustainability marketing and project courses at the University of Portland for the past six years and is an active member of the Northwest’s Public Sector Sustainability Roundtable. Molly earned her masters in Environmental Change and Management from the University of Oxford. 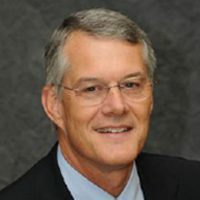 Owen serves as the Executive Director of Go Lloyd, an organization that strives to create a thriving environment for business and community by building partnerships, delivering targeted transportation programs, and fostering economic vitality. He has worked in Lloyd since 1998 and enjoys the sense of community among District partners and the desire to collaborate to achieve common goals. Owen looks forward to working closely with the EcoDistrict to transform Lloyd into the most sustainable neighborhood in the country. 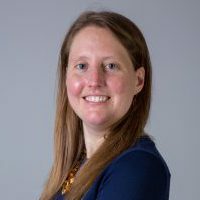 Amy Nagy is a Project Manager for the Portland Development Commission, the urban renewal and economic development agency for the city of Portland. She manages redevelopment projects throughout the Central City and simultaneously initiates new market opportunities locally and abroad for Portland’s green design and construction industry firms. Using public private partnerships, she seeks project and programmatic opportunities that support triple bottom-line sustainable development. While a native Portlander, Amy began her career in New York City where she engaged in land use policy and economic development efforts to promote urban manufacturing in the green economy. She holds a MS in city and regional planning from Pratt Institute, and a BA in environmental studies from the University of Colorado at Boulder.